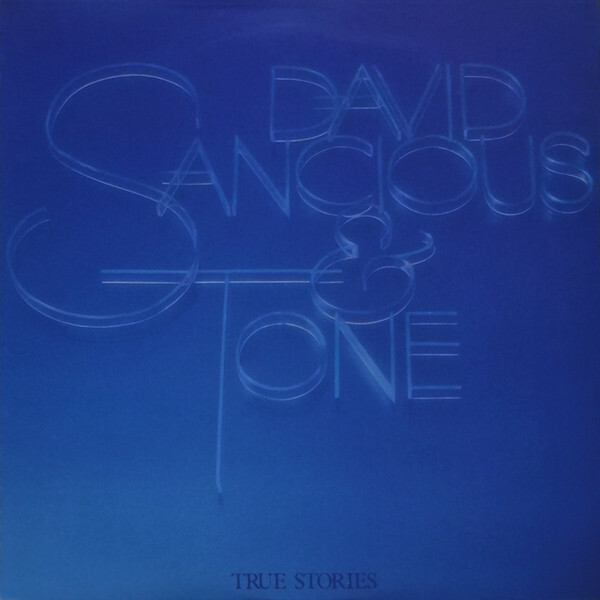 DAVID SANCIOUS AND TONE-TRUE STORIES AND DAVID SANCIOUS-JUST AS I THOUGHT. By the late sixties, David Sancious was part of New Jersey’s vibrant music scene. For David Sancious, this was the first part of what was his musical apprenticeship. Over the next few years, the multi-instrumentalist honed his chops in various rock bands. The music they played was very different to the classical music that David grew up playing. David Sancious who was born on November 30th 1953, first started playing classical piano aged seven. Little did David Sancious realise that he had just made his first tentative musical steps, and eventually, would play alongside the great and good of music. That however, was in the future. Before that, eleven year old David Sancious began teaching himself to play guitar. This was no surprise. David was eleven in 1964, the year the British Invasion groups first arrived on the American shores. Suddenly, guitar bands were King. Despite this, David continued to dedicated himself to the piano for the next few years. By his late teens he was a classically trained pianist. Eventually, though, David decided to turn his back on classical music. The future for David Sancious was rock music. He made his debut in the local scene in the late-sixties. After several years playing with different bands, David’s breakthrough came when he joined the the E Street Band in 1972. For the next two years, he was part of Bruce Springsteen’s band as he began to make a breakthrough. However, in 1974, David left Bruce Springsteen’s employ and formed his own band. This was David Sancious and Tone, who recorded five albums between 1975 and 1978. This includes their 1978 swan-song True Stories. It’s one of two albums that features on a recent BGO Records’ reissue. The other is David Sancious’ 1979 debut album Just As I Thought. Both albums have been digitally remastered especially for this reissue. Before David Sancious released these two albums, he had to serve the remainder of his musical apprenticeship. 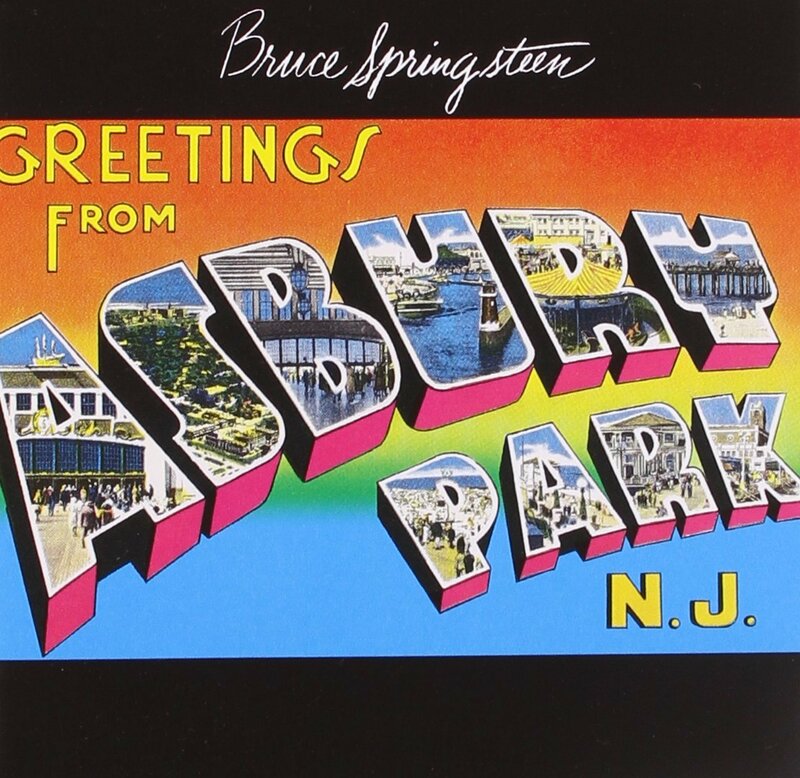 When the sixties gave way to the seventies, the Asbury Park music scene was thriving. At its heart, was a teenage David Sancious, Bill Chinnock, Southside Johnny, Bruce Springsteen and future members of the E-Street Band. Along with David, they played in various bands, including Glory Road, Dr.Zoom and The Sonic Boom, The Bruce Springsteen Band and The Sundance Blues Band. That was the case right through until 1972. This marked the end of the first part of David Sancious’ musical apprenticeship. The final part came, when David moved to Richmond, Virginia. As 1972 dawned, David Sancious moved to Richmond, Virginia. His destination was Alpha Studios. David’s new job was a studio musician, who played on jingles and sessions. That was how he met Ernest “Boom” Carter, the E-Street Band’s drummer. This was how David came to spend two years in Bruce Springsteen’s employ. At Alpha Studios, David recorded some demos with drummer Ernest “Boom” Carter and bassist Garry Tallent. There was a problem though. The rights to the demos that the three members of the E-Street Band recorded, were owned by producer and songwriter Will Farrell. These would become a bone of contention, when they were later released without David’s permission. That was still to come. Before that, David would play on The Wild, The Innocent and The E-Street Shuffle. The Wild, The Innocent and The E-Street Shuffle. 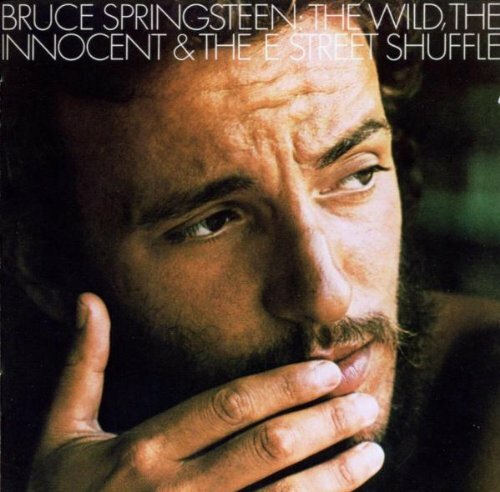 Recording of Bruce Springsteen’s sophomore album, The Wild, The Innocent and The E-Street Shuffle took place between May and September 1973 at was re914 Recording Sound Studios. It was the perfect showcase for David’s skills. On The Wild, The Innocent and The E-Street Shuffle, David talents as a multi-instrumentalist shines through. He played piano on New York City Serenade, organ on Kitty’s back and a soprano saxophone solo on The E Street Shuffle. That’s not all. During instrumental breakdowns, David enjoys the chance to showcase his versatility. Drawing inspiration from his eclectic musical taste, he takes The Wild, The Innocent and The E-Street Shuffle on unexpected directions. In doing so, David played his part in Bruce Springsteen’s first great album. Transformation (The Speed Of Love) failed to chart. It passed record buyers by, upon its release in 1976. Since then, Transformation (The Speed Of Love) has found an audience within the rock and jazz community. That was still to come. Before that, David Sancious and Tone would begin work on album they hoped would result in a change of fortune for them, Dance Of The Age Of Enlightenment. Dance Of The Age Of Enlightenment. For David Sancious and Tone’s fourth album, the band’s founder began writing the material for the album. Eventually, David had written eight new tracks.This included Overture-Wake Up (To A Brand New Day), 1st Movement (Dance Of The Glory And Playfulness), 2nd Movement (Dance Of Purification) The Dawn, 3rd Movement (Part I and II), 4th Movement (Dance Of Serenity And Strength) and the Finale, which featured Gone Is The Veil Of Illusion (Part I) and Dance Of Gratitude And Devotion (Part II). These tracks were complex, and would test the members of Tone. Recording of Dance Of The Age Of Enlightenment took place at Caribou Ranch studios with Bruce Botnik and David co-producing. The eight songs had been arranged by David, who played acoustic piano, Fender Rhodes, Hammond and electric organ. He also played Moog synth, clavinet, electric and acoustic guitars. In the rhythm section were drummer and percussionist Ernest “Boom” Carter and bassist Gerald Carboy played bass and wind chimes. Gayle Moran added vocals. Once the eight tracks had been recorded, Dance Of The Age Of Enlightenment was scheduled for release later in 1977. David Sancious was excited about the album he had recorded with Tone. Dance Of The Age Of Enlightenment had the potential he believed, to be a career defining album that featured ambitious and innovative music. That may have been the case, but Epic didn’t want to release Dance Of The Age Of Enlightenment. For David Sancious and Tone this was a huge blow. He found himself at loggerheads with Epic, and was looking for an exit route. What David Sancious needed, was a label that would release Dance Of The Age Of Enlightenment. This wasn’t going to be easy. Word gets round the music industry, and soon, many labels would be aware that Epic had refused to release Dance Of The Age Of Enlightenment. This meant David Sancious wasn’t going to be negotiating from a power of strength. Despite this, David thought he had found a label willing to release Dance Of The Age Of Enlightenment, Arista. The Arista label had been founded by the former Columbia Records CEO, Clive Davis. When he heard Dance Of The Age Of Enlightenment, he was keen to release the album, and offered David Sancious and Tone a recording contract. He signed on the dotted line. Dance Of The Age Of Enlightenment was about to be released. Or at least so it seemed. Executives within Arista’s A&R department weren’t so sure about Dance Of The Age Of Enlightenment. Suddenly, Arista were having second thoughts about releasing Dance Of The Age Of Enlightenment. Suddenly, Arista back-pedalling, and decided not to release the album. The A&R executives were unable to get their heads round the album. They felt it wasn’t the right album for Arista to release as David Sancious and Tone’s debut. David Sancious was backed into a corner, and there were only two possible outcomes. The first was that Arista didn’t release Dance Of The Age Of Enlightenment. If David Sancious agreed to this, and to record a more “commercial album,” they would honour the recording contract on the table. Should David not agree to this, all bets were off. David was in between a rock and a hard place. It was obvious that Arista weren’t going to release Dance Of The Age Of Enlightenments, so it was a case of cutting his losses, and beginning work on a new album. If that was successful, maybe Arista would’ve a change of heart about Dance Of The Age Of Enlightenments? They didn’t. It wasn’t until 2004, that somewhat belatedly Dance Of The Age Of Enlightenment was released. By then, David Sancious and Tone were no more. However, the genre-melting Dance Of The Age Of Enlightenment, where David Sancious and Tone flit between classical and jazz, to fusion and funk and even progressive rock and rock. 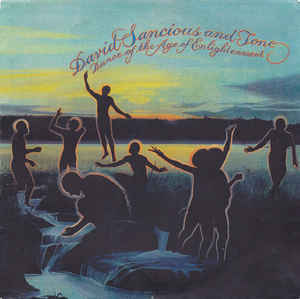 The listener had been denied the opportunity to hear what was one of David Sancious and Tone’s most accomplished albums. Dance Of The Age Of Enlightenment might have resulted in a change in fortune for David Sancious and Tone. As it was, David decided to expand Tone to a six piece band for their fifth album, True Stories. Having made the decision to add to the lineup of David Sancious and Tone, the search began in earnest for three new band members. The first addition was lead vocalist Alex Ligertwood, who had been born in Glasgow, Scotland. He had an enviable pedigree, having been a member of The Jeff Beck Band and Brian Auger’s Oblivion Express. Alex Ligertwood sounded as if he was born to sing rock. Joining him, were two backing vocalists who were the perfect foil for Alex Ligertwood, Brenda Madison and Gail Boggs. Neither were newcomers to David Sancious and Tone. Both had made guest appearances on previous albums. This time though, they were full members of David Sancious and Tone as work began on what became True Stories. Just like previous albums, David Sancious wrote the majority of True Stories. He penned Sound Of Love, Move On, Prelude #3, On The Inside, Fade Away, Ever The Same and Interlude. David also cowrote Matter Of Time with bassist Gerald Carboy. These songs became True Stories, which was produced by David and L.A. based, but London born producer Eddy Offord. Having written and practised the song that would become True Stories, the newly expanded lineup of to David Sancious and Tone headed to Woodstock, where the Eddy Offord Remote Studio was situated. Eddy Offord and David would co-produce the eight songs that became True Stories. They had been arranged by David, and would feature a band playing a myriad of traditional and electronic instruments. Even one member of the rhythm section expanded his musical horizons on True Stories. Drummer and percussionist Ernest Carter would add a bell tree, gong, handclaps, tambourine, timbales and tone bender. Ernest’s partner in the rhythm section, was bassist Gerald Carboy. David Sancious played synths, Hammond organ, bass, crotales, finger cymbals, piano, tambourine and added handclaps. Lead vocalist Alex Ligertwood played finger cymbals and added handclaps. Augmenting Alex’s vocals were backing vocalists Brenda Madison and Gail Boggs. The new lineup of David Sancious and Tone, guided by new co-producer set about recording an album that stayed true to the group’s principles, but would meet the approval of Arista. The result was True Stories, which was completed in 1978. It was scheduled for release later that year. That was as long as the album met with the approval of Arista. Whether this had been deliberate or not, True Stories lacked the grandiose and flamboyant flourishes of previous albums. However, aided and abetted by lead vocalist Alex Ligertwood and two backing vocalists, David Sancious and Tone, continued to create music that was ambitious, groundbreaking and genre-melting. This was was in David Sancious and Tone’s musical D.N.A. A&R executives at Arista were greeted with a very different album from Dance Of The Age Of Enlightenment. True Stories was still an album that married disparate musical genres. Everything from faux-baroque, classic rock, classical, funk, fusion, jazz and progressive rock can heard throughout True Stories. Sonically and stylistically, David Sancious and Tone had much in common with Pink Floyd, Emerson, Lake and Palmer, Yes and Genesis on True Stories. It’s a complex but captivating album, which is also melodic and full of subtle hooks. This results in several radio friendly tracks. Especially, album opener Sound Of Love, with its marriage of progressive rock, fusion and classic rock. It’s the perfect showcase for lead vocalist Alex Ligertwood seems to draw inspiration from Peter Gabriel and Jon Anderson. Then on Move On, Alex’s vocal brings to mind Steely Dan, before the track heads in the direction of fusion and progressive rock. After that, it’s all change. Prelude #3 is the first of two tracks with classical influence. There’s a faux baroque sound to synth, before the the track gradually unfolds. The classical influence continues On The Inside, where beauty and flamboyant flourishes of piano are key to the track’s success. From there, David Sancious and Tone change tack once again. Fade Away is something of a slow burner, with a Hammond organ and drums providing the backdrop for Alex’s vocal. The drama builds, and then when the chorus kicks in, it’s been worth the wait. It becomes a melodic anthem, where a hint of disco is combined with R&B and rock. Very different is Ever The Same, David Sancious and Tbeone’s prayer for peace, where elements of classic rock, fusion and progressive rock combine. This gives way to Interlude, two memorable minutes of beautiful, elegiac music, where synths and keyboards are to the fore. Closing True Stories was Matter Of Time, a ten minute sprawling progressive rock epic, where David Sancious and Tone stretch their legs musically and showcase their considerable talents. Having been impressed by an album that originally started life as four suites, Arista scheduled the release of True Stories for later in 1978. It was a very different album than David Sancious envisaged. With the help of his co-producer Eddy Offord, the original concept had been rejigged into something that Arista would find acceptable, and indeed, commercial. Arista high hopes for True Stories, and believed it had the potential to transform the fortunes of David Sancious and Tone. When critics received their copy of True Stories, they were impressed by the latest offering from the newly expanded lineup of David Sancious and Tone. It was hailed an album of ambitious music, where combined and flitted between disparate musical genres. However, the addition of Alex Ligertwood and the backing vocalists added a new dimension to David Sancious and Tone. This surely should result in commercial success coming David Sancious and Tone’s way? Alas, it wasn’t to be. When David Sancious and Tone released True Stories in 1978, the album never even troubled the lower reaches of the US Billboard 200. The only small crumb of comfort for Arista and David Sancious and Tone was when True Stories reached number forty in the US Jazz charts. That however, was as good as it got for David Sancious and Tone. They released Move On as a single in the UK during 1978, but it failed commercially. To make matters worse, progressive rock was falling out of favour on both sides of the Atlantic. Despite that, David Sancious wasn’t about to turn his back on progressive rock. He had already decided to record a new album, which became Just As I Thought. However, it wasn’t credited to David Sancious and Tone. Instead, it became David Sancious’ debut solo album. There was no fallout between David Sancious and Tone. Instead, the band seem to have run its course. Despite this, some members of Tone would be reunited with David once he had written his debut solo album, Just As I Thought. For Just As I Thought, David Sancious wrote nine new songs. Most of them, including Run, Just As I Thought, Again, The Naked 1, Valley Of The Shadow, Remember, And Then She Said and Again (Part II) were much shorter songs. Especially when compared to songs on previous albums. The longest track was Just As I Thought, Suite (For The End Of An Age), an eight minute epic, which featured David at his most creative. However, for most of Just As I Thought, the songs were shorter and found David moving towards fusion. To help him do this, was a very different band. Joining David Sancious to record Just As I Thought was a band that was a mixture of familiar faces and new names. They made their way to Eddy Offord’s Mobile Unit in Woodstock. One of the familiar faces, was drummer and percussionist, who returned to the rhythm section. Joining him were fusion bassist Jeff Berlin, and T.M. Stevens, who would invent heavy metal funk. Each bassist played on two tracks. Adding vocals on Again and Suite (For The End Of An Age) was Kabir Ghani. Brenda Madison added choir parts to Suite (For The End Of An Age) and Again (Part II). David played acoustic and electric guitar, bass, Hammond organ, piano and synths. He also arranged Just As I Thought, and co-produced the album with Eddy Offord. Once Just As I Thought was complete, a new chapter in David’s career began. 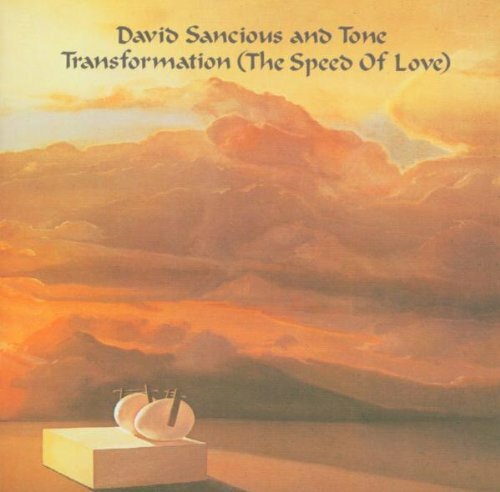 Not only was Just As I Thought David Sancious’ debut solo album, but changed direction musically. On the album opener Run and Just As I Thought, there’s a move towards fusion. This more than hints at what’s to come. Before that, Again is a beautiful piano lead ballad featuring Kabir Ghani’s vocal. It’s one of Just As I Thought’s highlights. The Naked 1 is understated, atmospheric and melodic, with a Spanish guitar playing a leading role. After this, there’s a return to fusion on Just As I Though. This begins on Valley Of The Shadow. Suite (For The End Of An Age) is best described as progressive rock meets fusion, where Ernest Carter’s drums power the arrangement along, and add to the drama. Remember is short interlude, where David Sancious unleashes flamboyant flourishes on the piano. This gives way to And Then She Said, a progressive and later, blistering slice of fusion. David dawns the role of guitar hero, and unleashes a scorching solo. There’s even a jazz influence during the solos, on what’s another of the highlights of Just As I Thought. It closes with Again (Part II), a poignant and beautiful track, where the drama begins to builds and reaches after three minutes reaches a crescendo. Just as is often the case, David Sancious kept one of the best until last. Not only does is it the perfect way to close Just As I Thought, but it whets the listener’s appetite for the followup. Before that, critics and record buyers would have their say on David Sancious’ debut solo album, Just As I Thought. Critics were won over by Just As I Thought, welcoming the stylistic departure on an album where David Sancious. 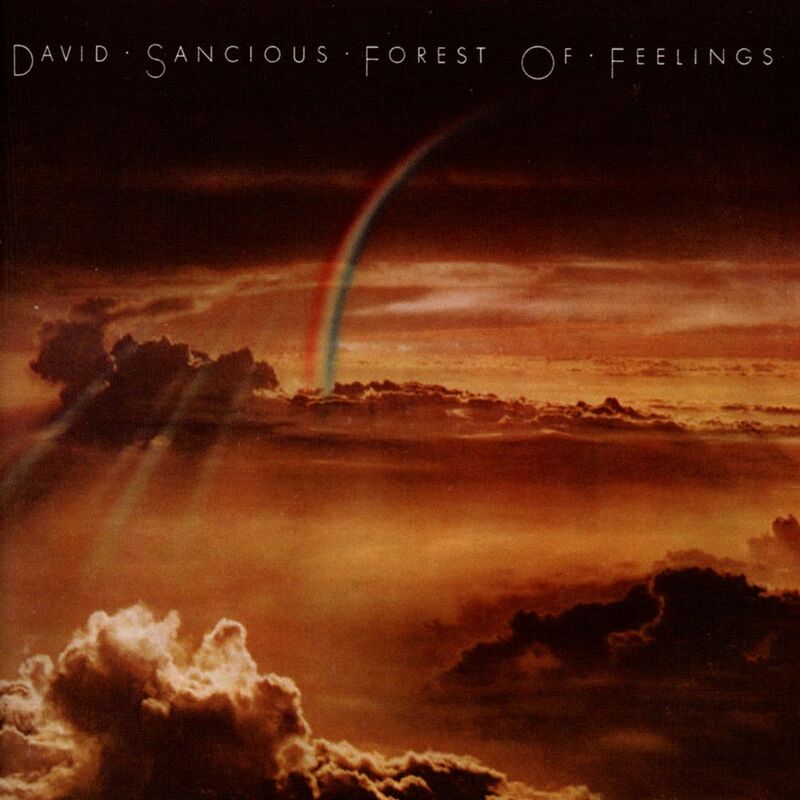 Just As I Thought with its move towards fusion, showed another side to David Sancious. However, he hadn’t turned his back on progressive rock, and combined this with rock, classical, jazz and even the dreamy ambient, acoustic sound of The Naked I. There was much for critics to praise on Just As I Thought. When Just As I Thought was released later in 1979, it only charted in the US Jazz charts, where it reached thirty-six. While this was an improvement on David Sancious and Tone’s swan-song True Stories, ultimately Just As I Thought had failed to find the audience it deserved. For everyone involved, it was a huge disappointment. Especially David Sancious. Just As I Thought could and should’ve been the start of a long and successful career. David Sancious was a talented multi-instrumentalist, composer, arranger and producer. However, his ambitious, groundbreaking and genre-melting music was only finding an audience within the jazz community. It had been a similar case with David Sancious and Tone. Maybe that was why David Sancious decided to reinvent himself as a solo artist? Alas, it didn’t pay off. For the next nineteen years, David Sancious’ time was spent working with the great and good of music. He took to the stage, and recorded with Eric Clapton, Jack Bruce, Peter Gabriel, Sting, and Bruce Springsteen, Stanley Clarke and Santana. However, having worked with rock royalty for so long, this must have inspired David to return to the studio. 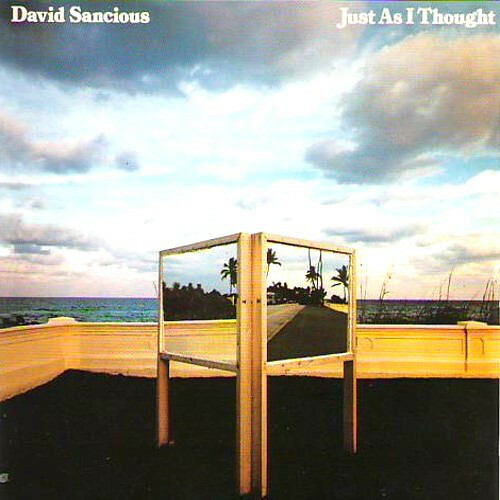 In 2000, David Sancious released 9 Piano Improvisations. Two years later, this was followed in 2002 by Cinema and Live In The Now in 2006. This meant that David Sancious’ back-catalogue now amounted to five official albums, plus the five albums David Sancious and Tone released. They’re a reminder of a truly talented musician, composer, arranger and composer, whose music is only belatedly finding the audience it so richly deserves. For those yet to discover the delights of David Sancious and Tone, or David Sancious’ solo career, then BGO Records’ recent reissue is the perfect starting point. 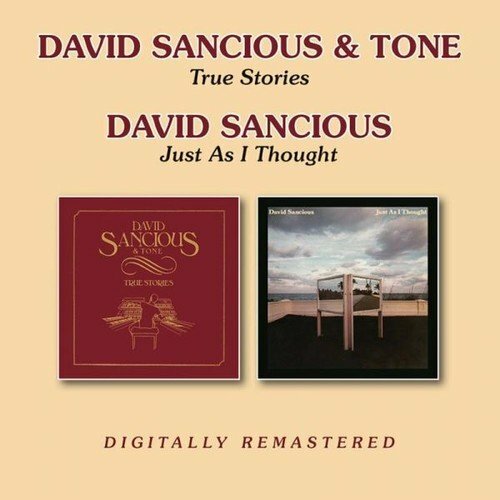 It pairs David Sancious and Tone’s 1978 swan-song True Stories, with David Sancious’ 1979 debut album Just As I Thought. Both albums have been digitally remastered especially for this reissue. They’re the perfect introduction to a man Peter Gabriel describes as: “a musician’s musician.” That has been the case for over forty years. During that period, David Sancious has won the praise, approval and admiration of his contemporaries and peers. That’s why when Eric Clapton and Peter Gabriel, to Saatana, Sting and Bruce Springsteen are looking for a keyboardist, David Sancious has been and still is, their go-to-guy. One listen to True Stories and Just As I Thought, and you’ll realise just why, rock royalty have David Sancious ‘ number on speed dial. ← TOM ARTHURS AND ISAMBARD KHROUSTALIOV-VAUCANSON’S MUSE-VINYL EDITION.